Right now, you could qualify to lease a new 2019 Mercedes-Benz GLC 300 for just $399/mo* for 36 months. Due at signing is $2,999. 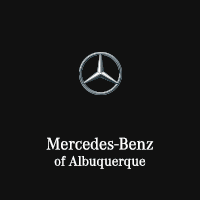 Get in touch with Robert Bostwick now: 505-821-4000 or rbostwick@mercedesabq.com. *$2,999 down plus first pymnt, tax, license, doc fee. 7,500 miles/year. Based on MSRP of $42,945. Valid through 4-30-19. Not everyone will qualify.